the new airport, but this proved to be a non-issue. Streetcars and other forms of public transportation could cover the distance in about a half hour. 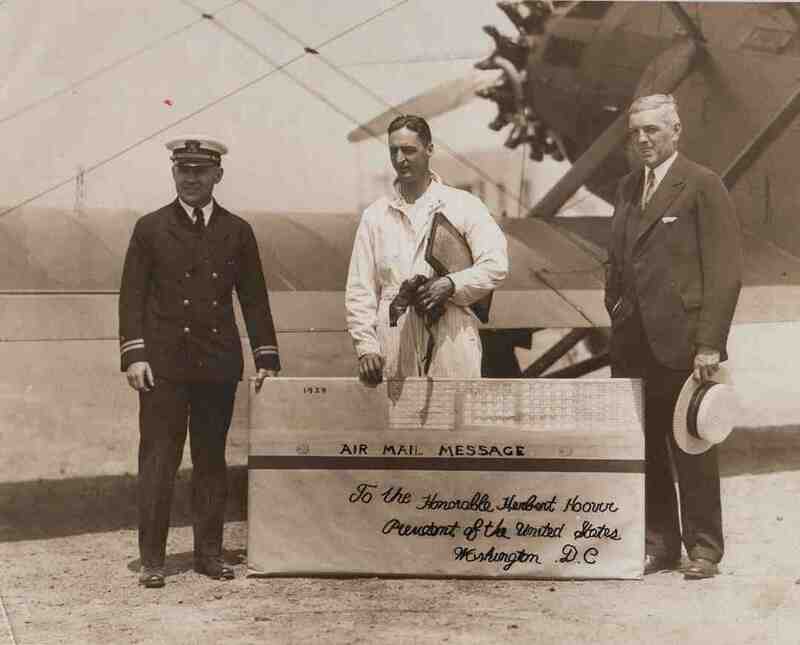 The first flights at Cleveland Municipal Airport carried mail for the U.S. Air Mail Service. Beginning in 1919, Air Mail planes had landed in a section of Woodland Hills Park near East 93rd Street and Kinsman Road. 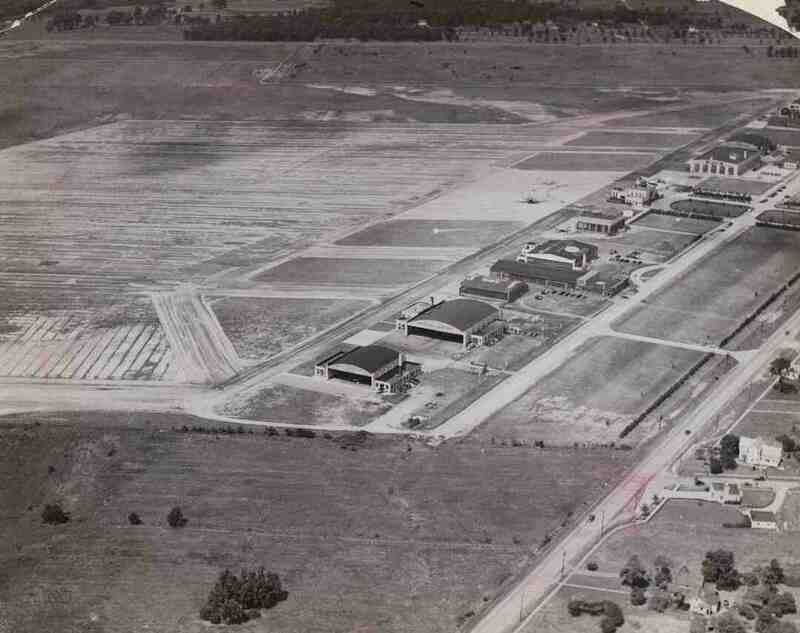 This small airfield soon proved to be inadequate though, providing a major impetus for a new municipal airport. Henry Ford's commercial air mail service, the nation's first, conducted flights between Cleveland and Detroit right from the time that Municipal Airport opened. These early commercial airlines also carried passengers, but the cost of a plane ticket precluded all but the wealthy from partaking in these early flights. The number of planes using Cleveland Airport jumped from a few thousand in its inaugural year to nearly 20,000 by 1929. 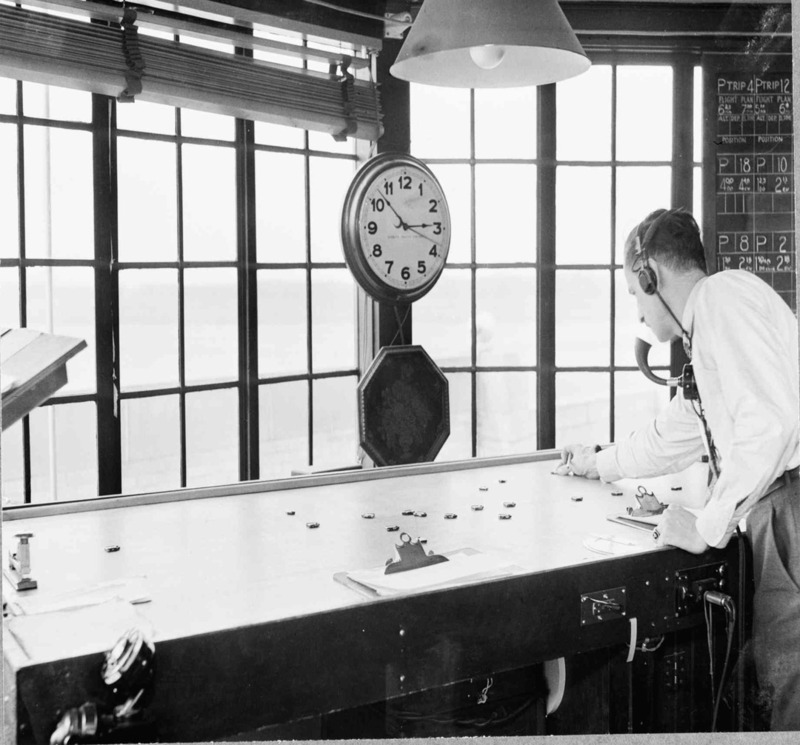 A new terminal building constructed that year contained the world's first air traffic control tower -- a tall, glass-enclosed structure with a 360-degree view of the air field. 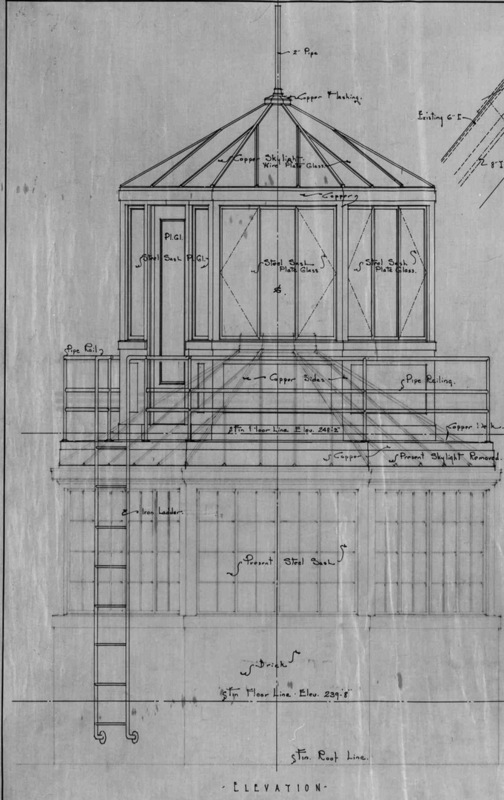 Soon after its construction, two-way radio was installed in the tower, the first time this had been used in the aviation field. This proved to be an important addition, as in its early years the airport used the "allway" landing mat process, which allowed multiple planes to land simultaneously on different parts of the air field -- a process designed to prevent pilots from having to wait mid-air for space to land. During World War II, the area around the airport's periphery became a key part of the war effort. 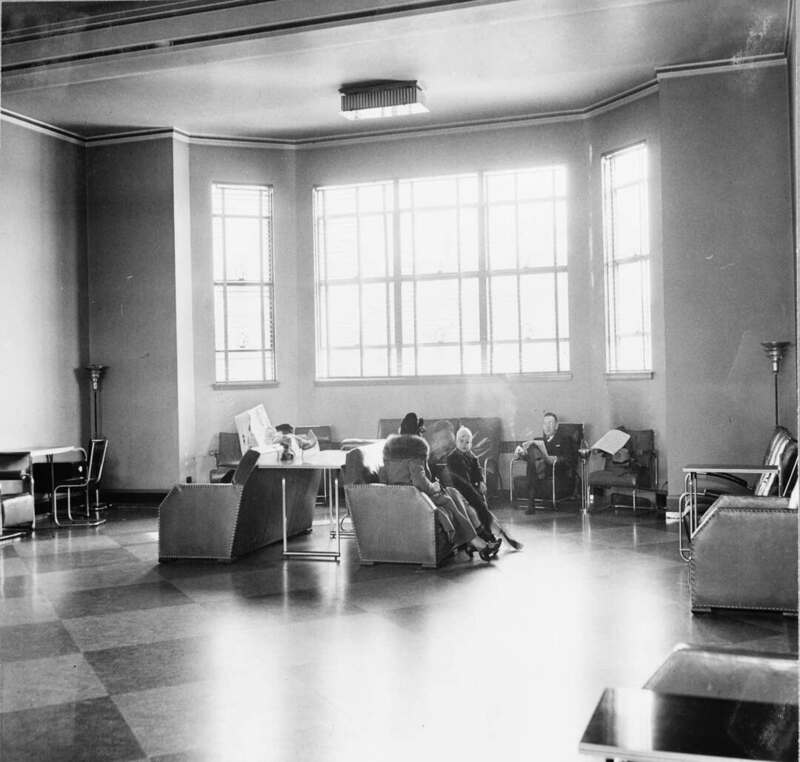 In 1941, a laboratory of the National Advisory Committee for Aeronautics (NACA) opened on its western end. The laboratory originally conducted research on airplane engines before turning into the NASA Lewis Research Center in 1958. The center was to play a crucial role in the drive to put a man on the moon. In 1942, the Cleveland Bomber Plant also opened nearby in what is now the I-X Center. Here, workers built B-29 aircraft bombers which when finished would take off from the airport to wherever they were needed. 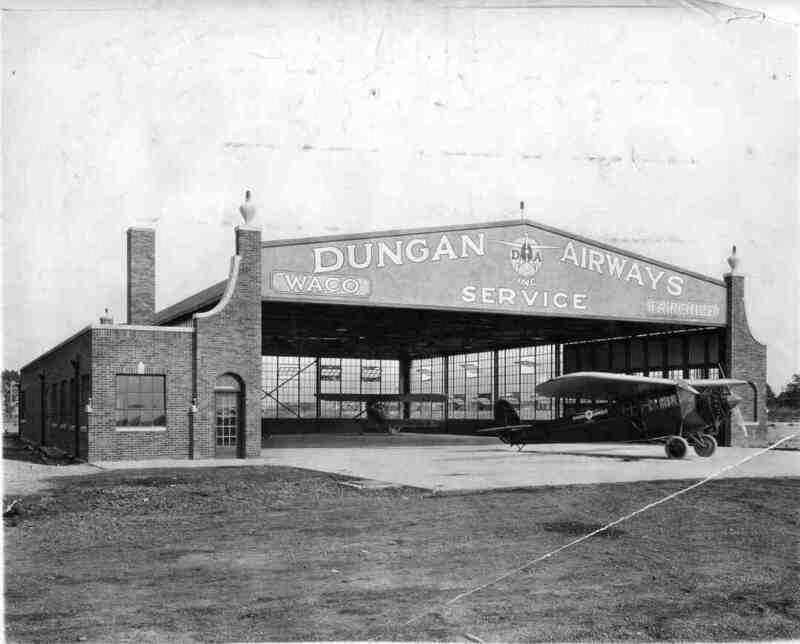 Cleveland Municipal Airport was also the regular site of the National Air Races between 1929 and 1949. 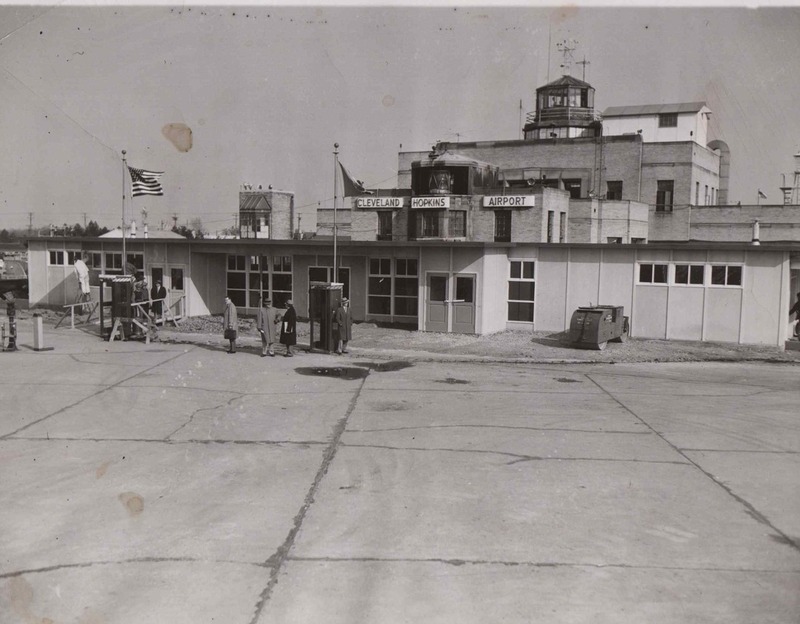 By the mid-1950s, all of the original structures at the airport had been razed to make way for expansions. 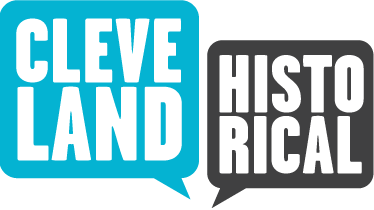 The original Cleveland Municipal Airport was gone, but Cleveland-Hopkins International Airport remained a thriving center of the commercial aviation industry. Hopkins Aerial, Ca. 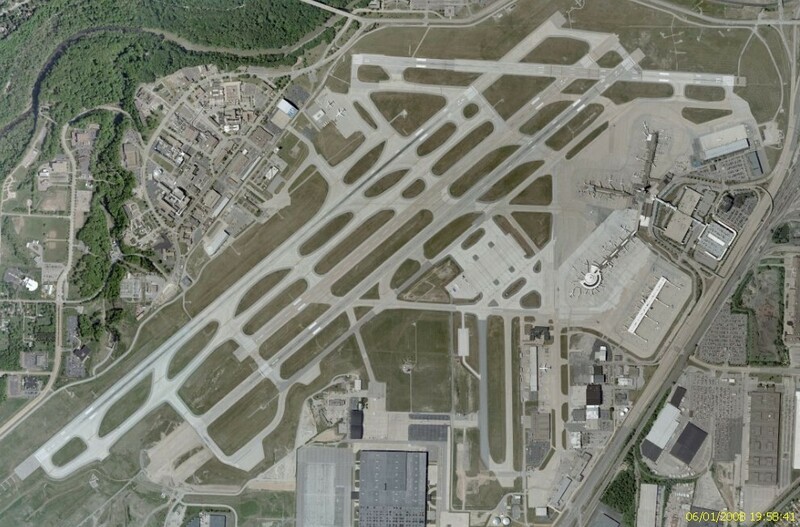 2005: This aerial image taken by a NASA satellite shows Cleveland Hopkins Airport around 2005. The cluster of buildings at the top left is the NASA Glenn Research Center. Michael Rotman, “Cleveland Hopkins Airport,” Cleveland Historical, accessed April 23, 2019, https://clevelandhistorical.org/items/show/150. Published on Feb 28, 2011. Last updated on Apr 18, 2017.